Captivating the audience with her charisma, showstopper actress Sanya Malhotra looked stunning in Varun’s masterpiece. Far removed from the traditional confines of mere success, Blenders Pride Magical Nights 2019 defined 'Pride' as an inner sense of achievement, of uniqueness and of individuality, all the things that are a hallmark of today’s generation. As a meaningful expression of success, the evening recognized individuals who have created their own distinct tales of style, and are instilled with a strong sense of positive pride, for their self-earned achievements. While their distinct choices define their individuality, the taste of pride which comes from their accomplishments is one for these individuals. Commenting on the occasion, Raja Banerji, Assistant Vice President, Pernod Ricard India, said that, Instilled with a strong sense of positive pride, individuals today are driven by confidence and belief for attaining success. "For today’s consumer, having a unique style and expressing the same is non-negotiable. Style and Pride, hence are fundamentally democratic. It is every individual’s potential to create their unique identity and to strive for authenticity. 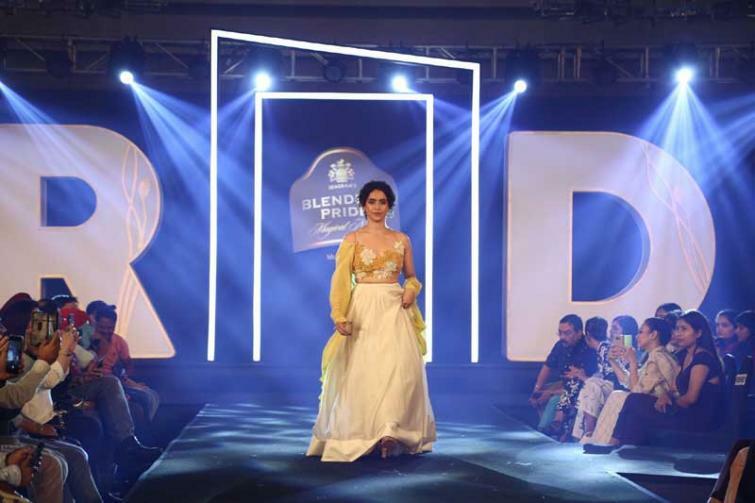 Blenders Pride Magical Nights brings this alive through an eclectic collaboration of the most stylish and talented in fashion, to deliver a never seen before and exciting experience to the consumers," Raja Banerji said. Designer Varun Bahl showcased his pret collection that includes easy, ready-to-wear, coordinates for the modern Indian woman, who dresses according to her personality. In this fast changing landscape of Indian fashion, the Varun Bahl Pret collection is aimed at the young, aspiring Indian woman who is looking for signature pieces that add a distinct design value to her wardrobe, and also act as long-lasting separates that can be paired and styled in multiple ways. Talking about his curation designer Varun Bahl said that, Style today, has many facets and cannot be confined. "It is a reflection of one’s authenticity and uniqueness. Weaving these reflections of style together at Blenders Pride Magical Nights, I take great pride in narrating what has made me what I am today; therefore, it’s an absolute honor to be associated with the brand, as it provides a stage to bring forth individuality in the most unique fashion," Varun Bahl said. Weaving a seamless story around 'My Identity, My Pride', Guwahati also got to witness Pallavi Mohan’s collections that merge western sensibilities with Indian ethos.